WASHINGTON, D.C. – Ground beef may be the source of an E. coli outbreak that’s sickened at least 100 people. 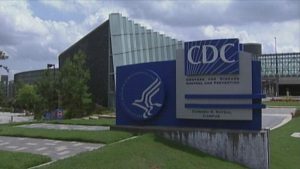 The Centers for Disease Control and Prevention said a preliminary investigation points to ground beef, but no common supplier or distributor has been identified. 109 people have fallen ill and 17 had to be hospitalized. No deaths have been reported. E. coli infections can cause severe stomach cramps, vomiting, and diarrhea. The CDC suggests cooking meat thoroughly to destroy bacteria. A meat thermometer should reach at least 160° Fahrenheit for cooked ground beef.